Juliet K. Choi is Partner with the VENG Group, a boutique government relations and professional services firm, and serves as a strategist to provide clients innovative and creative approaches in achieving their goals. She is an accomplished cross-sector leader and coalition builder who specializes in change management particularly in the areas of immigration, civil rights, healthcare, disaster relief, and inclusion leadership. Juliet offers over 25 years experience in system reform, crisis management, intergovernmental affairs, conflict resolution, compliance and enforcement, stakeholder relations, and community mobilization. 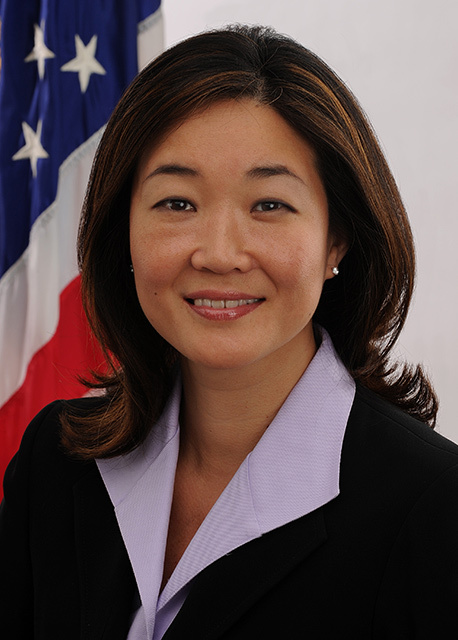 A senior executive, Juliet is the former chief of staff and senior advisor of two federal agencies: U.S. Citizenship and Immigration Services (USCIS) at the U.S. Department of Homeland Security; and the Office for Civil Rights (OCR) at the U.S. Department of Health and Human Services. Prior to her political appointments, she led disaster relief operations and strategic partnerships at the American Red Cross as a member of the disaster leadership team. Juliet has previously worked at the Partnership for Public Service, Asian American Justice Center, Mental Health America, and a Fortune 500 corporation. She received her law school’s Alumni Association Award for Leadership and Character and Rising Star Alumnus Award. Currently, she serves on the boards of the NAPABA Law Foundation and YWCA USA. A certified mediator, Juliet received her J.D. from University of Maryland School of Law and clerked for the Hon. Dennis M. Sweeney (ret.) of the Circuit Court for Howard County, Maryland. She received her B.A. in Economics from University of Virginia.